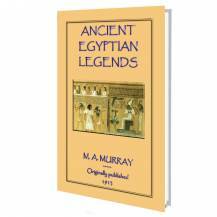 IN this book the legends of the Gods of ancient Egypt have been retold. Legends, which were current in the "morning of the world," preserved to the present day engraved on stone and written on papyri. Legends like The Princess and the Demon, The King's Dream, The Coming of the Great Queen, The Book of Thoth, The Legend of Osiris, The Scorpions of Isis and many more. 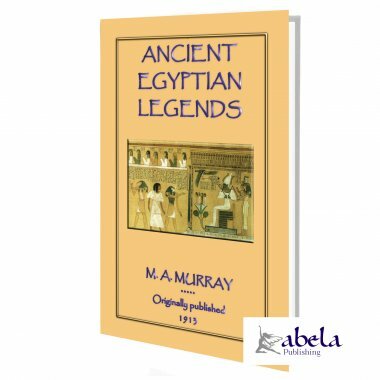 These legends have been told in a way that only Margaret Murray could retell them, adhering strictly to the story, but arranging the words and phrases according to the English language; but retaining, as far as possible, the expressions and metaphors of the Ancient Egyptians. 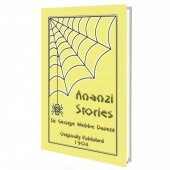 The book is intended in its entirety for consumption by the general public, but especially for those interested in the religion and civilisation of ancient Egypt.  Though the book is intended for the unscientific reader, some provision for the more serious student has been made in the Notes at the end. In these the origin of the legend has been provided including the book or books in which that original is published, and the book where the translation into a modern language by one of the great scholars of the day can be found. Also included is an index of the names of the Egyptian gods. 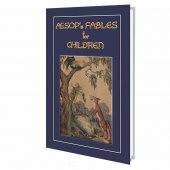 33% of the net profit from the sale of this book will be donated to the Egyptian Exploration Society. NOW Amon-Ra, king of the gods, sat upon his throne, and around him stood the greatest of the gods and goddesses. On his right was Osiris crowned with the great White Crown of the South Land; on his left was Mentu, god of war, and on the head of Mentu were two great feathers and the flashing disk of the sun. With Osiris were the twin goddesses Isis and Nephthys, beside them stood Hathor, goddess of love, whom the Greeks call Aphrodite; Horus, the son of Isis, with the far-seeing eyes of the hawk; and Anubis, son of Nephthys, the faithful guardian of Isis. With Mentu were Atmu, the god of the sunset; Shu and his twin-sister Tefnut; Geb the earth-god, and Nut the sky-goddess. These two are the oldest of the gods, from whom all others proceed. Amon-Ra, king of the gods, sat upon his throne and looked upon the land of Egypt, and he spoke, saying, "I will create a queen to rule over Tamery, I will unite the Two Lands in peace for her, and in her hands I will place the whole world. Egypt and Syria, Nubia and Punt, the land of the Gods, shall be under her sway. "And when he had spoken there was silence among the gods. "O Amon-Ra, Lord of the thrones of the Two Lands, King of the gods, Maker of men. Behold in the Black Land in the palace of the king is a maiden, fair and beautiful is she in all her limbs. Aahmes is her name, and she is wife to the king of Egypt. She alone can be the mother of the great Queen, whom thou wilt create to rule over the Two Lands. She is in the palace of the king. Come, let us go to her." Now the form of Thoth is the form of an ibis, that he may fly swiftly through the air and none may know him, and as an ibis he went to the palace of the king. But Amon-Ra took upon himself the shape of the king of Egypt. Great was the majesty of Amon-Ra, splendid his adornments. On his neck was the glittering collar of gold and precious stones, on his arms were bracelets of pure gold and electrum, and on his head were two plumes; by the plumes alone could men know the King of the gods. In one hand he carried the sceptre of power, in the other the emblem of life. Glorious was he as the sun at midday, and the perfumes of the land of Punt were around him. In the palace of the king of Egypt was queen Aahmes, and it was night. She lay upon her couch, and sleep was upon her eyelids. Like a jewel was she in her beauty, and the chamber in which she slept was like the setting of the jewel; black bronze and electrum, acacia wood and ebony, were the adornments of the palace, and her couch was in the form of a fierce lion. Through the two Great Doors of the palace went the gods; none saw them, none beheld them. And with them came Neith, goddess of Sais, and Selk the scorpion goddess. On the head of Neith were the shield and crossed arrows; on the head of Selk a scorpion bearing in each claw the emblem of life. The fragrance of the perfumes of Punt filled the chamber, and queen Aahmes awoke and beheld Amon-Ra, King of the gods, Maker of men. In majesty and beauty he appeared before her, and her heart was filled with joy. He held towards her the sign of life, and in her hand he laid the sign of life and the sceptre of power. And Neith and Selk lifted the couch on which the queen reposed and held it high in the air, that she might be raised above the ground, on which mortal men live, while she spoke with the immortal Gods. Then Amon-Ra returned and was enthroned among the Gods. And he summoned to his presence Khnum the creator, he who fashions the bodies of men, who dwells beside the rushing waters of the cataract. To Khnum he gave command saying, "O Khnum, fashioner of the bodies of men, fashion for me my daughter, she who shall be the great Queen of Egypt. For I will give to her all life and satisfaction, all stability and all joy of heart for ever." Khnum the creator, the fashioner of the bodies of men, the dweller by the cataract, made answer to Amon-Ra, "I will form for thee thy daughter, and her form shall be more glorious than the Gods, for the greatness of her dignity as King of the South and North." Then he brought his potter's wheel, and took clay, and with his hands he fashioned the body of the daughter of queen Aahmes and the body of her ka. And the body of the child and the body of the ka were alike in their limbs and their faces, and none but the Gods could know them apart. Beautiful were they with the beauty of Amon-Ra, more glorious were they than the Gods. Beside the potter's wheel knelt Hekt, lady of Herur, goddess of birth. In each hand she held the sign of life, and as the wheel turned and the bodies were fashioned, she held it towards them that life might enter into the lifeless clay. Then Khnum, the fashioner of the bodies of men, and Hekt the goddess of birth, came to the palace of the king of Egypt; and with them came Isis, the great Mother, and her sister Nephthys; Meskhent also and Ta-urt, and Bes the protector of children. The spirits of Pé and the spirits of Dep came with them to greet the daughter of Amon-Ra and of queen Aahmes. And when the child appeared, the goddesses rejoiced, and the spirits of Pé and the spirits of Dep chanted praises to her honour, for the daughter of Amon-Ra was to sit upon the throne of Horus of the Living, and rule the Land of Egypt to the glory of the Gods. Hatshepsut was she called, Chief of Noble Women, divine of Diadems, favourite of the Goddesses, beloved of Amon-Ra. And to her the Gods granted that she should be mistress of all lands within the circuit of the sun, and that she should appear as king upon the throne of Horus before the glories of the Great House. And upon her was the favour of Amon-Ra forever.